With cloud computing well into the mainstream and steadily replacing roles currently filled by traditional server architecture, it’s time to ask the big question: can cloud hosting replace traditional file servers for storing and sharing files between employees in your organization? Serving, sharing, and storing files was probably the very reason many small and midsize companies built out their intranet infrastructure in the first place, and may still be the only reason that many companies have a server in their office or are renting server space. And as the workforce became more mobile, these servers took on the additional duties of sharing your internal files with employees on the road or working from home, even though they may not have always been designed for those functions. Cloud hosting, on the other hand, was born from a networked world with sharing, collaboration, and mobility being key considerations from the very beginning. Despite only being a relatively recent technological innovation, cloud computing has leveraged these strengths to quickly start eating away at the share of file hosting and file sharing duties of traditional server setups. Still, many companies are still hesitant to trust their files and security entirely to a third party where they may share space and resources with other companies, or entrust their proprietary data to some nebulous “cloud”. So which is better for your needs? What are the pros and cons of legacy file sharing servers compared to the newcomer cloud storage? File servers have been the mainstays and workhorses of the business world practically since business networking has been a term. There are a significant number of pros to keeping your files on an internal (or externally managed) server that you control. The biggest pro is ownership. While you may not own a rented server, if you are on shared hosting for example, you still control all of the contents of the server without doubt, and a hosting company cannot simply pull the plug on you, erase your data, or otherwise compromise the integrity of your data. 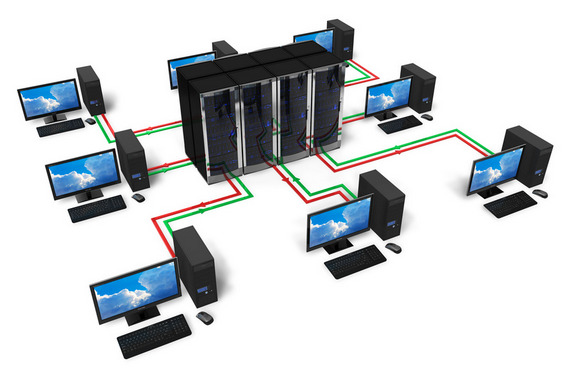 This is even more so if you actually host your own file server on–premises or in a colocation space. Another advantage of maintaining your own file server is the ability to configure it as much as you want, within certain limits (depending on your server type–self–hosted, shared, or dedicated). This gives you options about how you want files served, how credentials will be assigned, where people will be able to access files from, etc. This gives you flexibility and allows you to set things up in a way that is unique and specialized for your organization. The major downside of having a traditional file server for sharing is the inflexibility and difficulty in maintaining such a server. Whether you host the server on–premises, have a shared hosting account, or a dedicated or co–located server, it is difficult to scale up and down as demand rises and falls. In fact, it’s impossible to do so dynamically in real time. That means during slow periods, you may be paying for way more server than you need, while during especially busy periods you may find that you are running out of bandwidth, RAM, or storage space. On top of that, unless you use a managed server, you will also have to be responsible for your own security and maintenance. Cloud storage has pros that are the exact opposite of traditional servers. 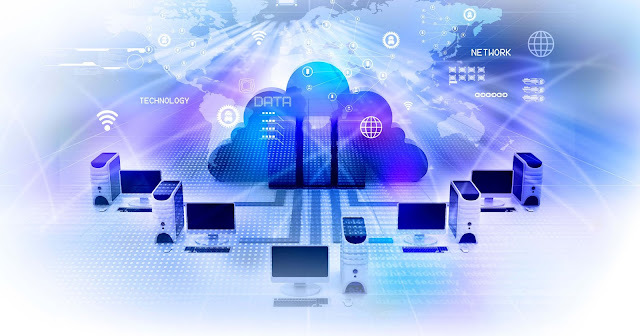 In order to utilize public cloud servers for storage and file sharing, you will be giving up a large portion of control in exchange for smooth operations. Public cloud storage allows you to not have to worry about buying server space, maintaining security, provisioning file space, or any of the other tasks that owning a server usually entails. The cloud storage provider will be responsible for security, for determining how access is granted, and where people can access the server from. You also gain flexibility. Many cloud storage services allow you to ramp services up and down to keep up with real–time demand. In fact, some will even do the automatic provisioning for you. Downsides of a cloud storage and sharing solution are the loss of control that such a solution entails. You also have to worry about the cloud storage provider becoming a victim of cybercrime attacks. While most cloud service providers are much more security savvy than most small business IT teams, they are also much more likely to be seen as targets by hackers and other malicious elements. Ultimately, each solution to the problem of file sharing and storage has its own pros and cons. Which works best for your business largely depends on your needs and your capabilities: a file server for companies with an IT budget to spend but a need for privacy, extra security, or their own special server build, or cloud storage for companies that don’t mind giving up a large measure of control in exchange for costs savings in IT management and technology.